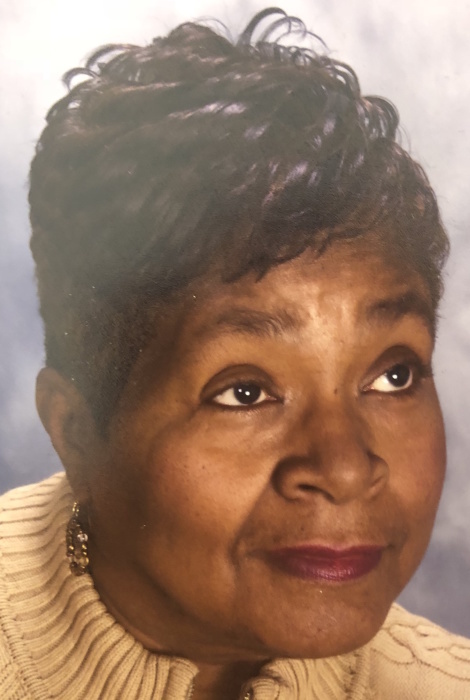 Beatrice Viola Martin, 75, of Cary, NC departed this life Friday, October 19, 2018. Funeral service: 11:00 AM, Friday, October 26, 2018, First Nazarene Baptist Church, Camden, NJ. Interment; Sunset Memorial Park, Pennsauken Township, NJ. Survivors: Sons; Herbert J. Lowe, Jr. (Mira), Gainesville, Fla., Curtis E. Lowe ( Renarda), Lindenwold, NJ, Nolan D. Lowe (Arlene), Hinesville, Ga, Lamonte D. Lowe-Moncrieffe (Michael), Brooklyn, NY, Brent M. Lowe, Douglasville, GA; Daughter, Tiffany Lowe-Payne (Douglas), Cary, NC; Sister, Elsie Carter, Riverside, NJ; Brothers, Eugene Martin (Delphine), Thomas Martin (Patricia) both of Magnolia, NJ, Samuel Martin (Josie), Newtonville, NJ; 12 grandchildren; thirteen great-grandchildren and numerous nieces, nephews and friends.